The church was built in 1868 and later extended more than once. The tower was added in 1906 completing the building we see today. Some 15 years ago it was realised that a major renovation would be required and a very comprehensive survey was carried out to identify the most troublesome faults and to prioritise the order in which repairs should be carried out. The roof and the central lead gutter were the main concern. Little could be done at that time except to make the ceiling safe with netting to prevent plaster from falling on our heads. Unfortunately the resources needed for the works were not available and also in the following years the requirement to replace the heating system soaked up all the funds we had. In fact the heating replacement required a special appeal which was successful. It was soon realised that if these key works were to be completed there would need to be a very different approach as the cost was far beyond the congregation. 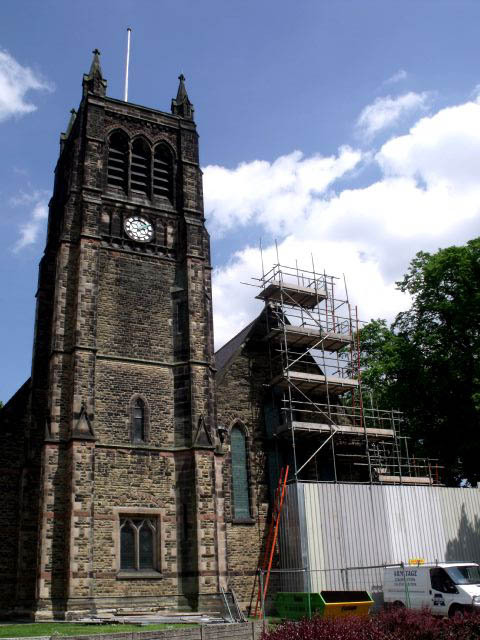 After raising the profile of the church’s plight with outside funding bodies whilst also tapping into Heritage Lottery funding several large grants were obtained and these, added to the continuing fundraising results, finally totalled sufficient for phase 1 of the roof replacement. St Clements will celebrate its 150th anniversary in 2018 and we hope that the roof and timber repairs will be completed by that time. Phases 1 and 2 comprising replacement of the main central roof, the South Aisle and Columbarium roofs together with timber repairs and some limited stone replacements were completed in 2013. Further work is, however, extensive and includes new roofs on the Sanctuary, Choir Vestry North facing roof and the Tower along with much lead work, stonework and timber replacement. All this will involve at least two further Phases, possibly more. Future finances and grants will dictate the timing and phasing of the remaining works. Progress to date has been very encouraging. The next phase of work is to replace the seriously damaged stone work of the rose window. The rose window is the reason that the church is listed and its essential the we complete this in the next couple of years so if you can help in any way, however small please get in touch or call at the church which is open regularly during the week as well as weekend. Monday, Wednesday and Friday mornings are always open times. Please come along and support our well organised and fun events. 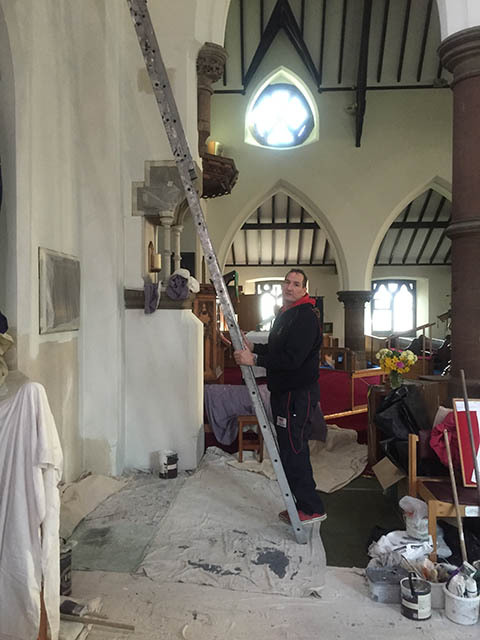 If you have a connection with the church and feel you would like to help us complete the work by making a donation please contact the clergy.